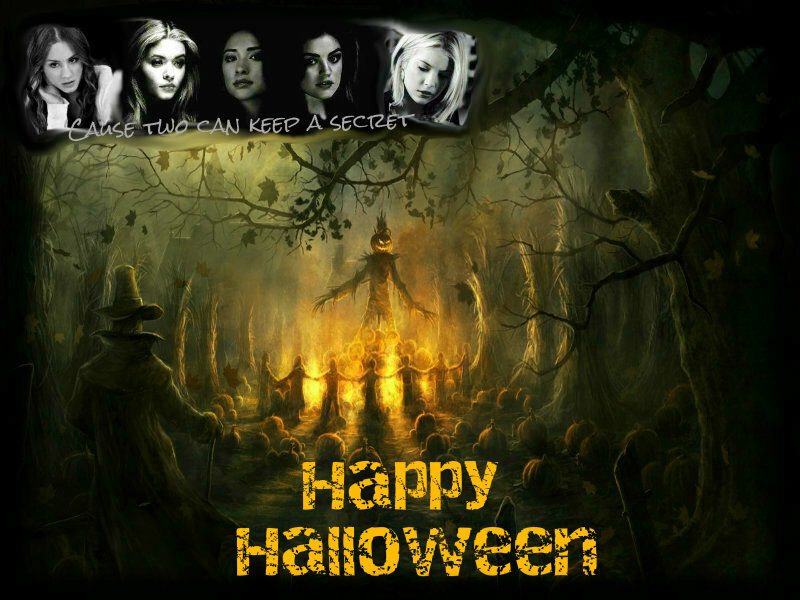 ★ Pretty Little Liars ☆. . HD Wallpaper and background images in the Maonyesho ya Televisheni ya Pretty Little Liars club tagged: pretty little liars hanna aria spencer emily halloween. This Maonyesho ya Televisheni ya Pretty Little Liars wallpaper contains ishara, bango, maandishi, ubao, matini, and ubao wa chokaa. There might also be anime, comic kitabu, manga, cartoon, and mkono.